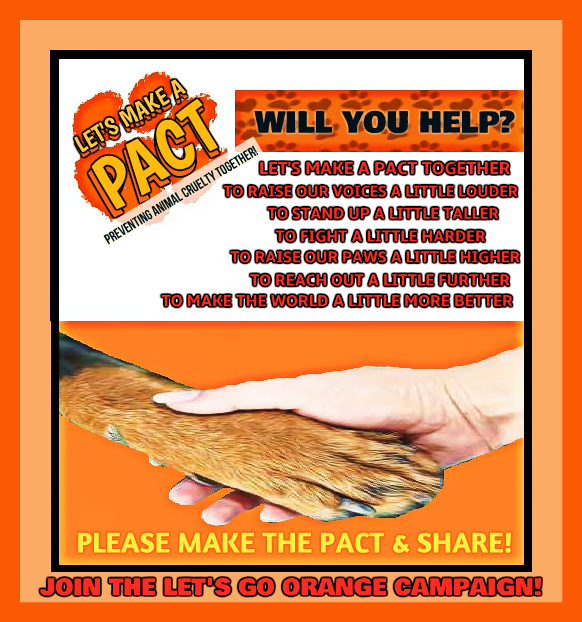 RAISE UR PAW NEWS: MAKE A PACT! Preventing Animal Cruelty Together! HOW MANY WILL MAKE THE PACT???? When it comes to the prevention of animal cruelty, we must ask ourselves what we can do to help? what sort of role can we can play in order to do our duty to protect the welfare and well-being of the innocent lives that reside on this earth with us? The issues & dilemmas that our voiceless are enduring and subjected to has existed for generations – and although much progress has been established and achieved to protect the welfare and well-being of animals, there is still a great deal of need for aid and support in furthering these strategies and progress. and it is you as individuals of humanity, that can provide this aid and support needed, plus the voices and power to accomplish the goals in which have been set in order to prevent and stop these acts of cruelty and inhumanity once and for all! TAKING THE STEPS TO PREVENT ANIMAL CRUELTY!! Taking the steps to prevent animal cruelty is imperative. Many individuals worldwide are unaware of the hidden cruelty which is occurring every day and it is our responsibility and duty to open their eyes and encourage them to help be voices for our voiceless. Through encouragement, empowerment and education, we can further not only our reach worldwide, but also increase the support and help in protecting the well-being, welfare and lives of our innocent ~ a goal in which we hope our “Let’s Go Orange” Campaign can achieve with your support and voices. Our mission is not to preach or demand people to follow our choices, but to inform them of the issues and concerns at hand, and promote involvement to help and support the fight to prevent animal cruelty. Every voice no matter how big or small can make a world of difference, and every little bit of support can aid a great deal in succeeding in saving and protecting the lives of animals worldwide. JOIN THE "LET'S GO ORANGE" CAMPAIGN!! With the amount of lives that are at risk or enduring cruelty and inhumanity, we are hoping to achieve just as much support and voices. It only takes a second of an individual's time to stand up and speak out in order to help save and protect a life in need. Please wear orange this APRIL 2015 for Prevention of Animal Cruelty Month and share with the world that you are "GOING ORANGE" for animals. Please take that mere second to make the pact to be a voice for our voiceless ~ they are depending on us.